On July 19, 2018, the bipartisan Carbon Utilization Act was introduced by Representatives Scott Peters (D-CA) and David Young (R-IA) to promote biogas and carbon capture utilization and sequestration (CCUS) technologies. Biogas is produced by converting organic waste material into CO2, methane, and other carbon products that then are captured by CCUS technologies to use as energy or fuel. The newly introduced bill incentivizes the use of innovative technologies for farmers, biotech businesses, research programs, and rural development programs. ■ He is required to divest from any of his holdings. On January 4, 2017, the White House announced the release of the 2017 Update to the Coordinated Framework for the Regulation of Biotechnology. The 2017 Update provides a comprehensive summary of the roles and responsibilities of the U.S. Environmental Protection Agency (EPA), the U.S. Food and Drug Administration (FDA), and the U.S. Department of Agriculture (USDA) with respect to regulating biotechnology products. Together with the National Strategy for Modernizing the Regulatory System for Biotechnology Products, published in September 2016, the 2017 Update offers a “complete picture of a robust and flexible regulatory structure that provides appropriate oversight for all products of modern biotechnology.” Within that regulatory structure, the federal agencies “maintain high standards that, based on the best available science, protect health and the environment, while also establishing transparent, coordinated, predictable and efficient regulatory practices.” More information is available in Bergeson & Campbell, P.C.’s (B&C®) memorandum White House Announces Release of Final Update to the Coordinated Framework for the Regulation of Biotechnology. On September 12, 2016, the Biodiesel and Renewable Diesel Incentive Extension Act of 2016 (H.R. 5994) was introduced to the House of Representatives and referred to the House Committee on Ways and Means. The bill was introduced by Representative Diane Black (R-TN), and would extend the $1 per gallon biodiesel and renewable diesel blenders credit, originally set to expire December 31, 2016, through December 31, 2018. The blenders tax credit of $1 was created in 2005 for biodiesel or renewable diesel used in qualified mixtures. The Advanced Biofuels Association (ABFA) has spoken out in favor of extending the tax credit, with ABFA President Michael McAdams stating, "it is clear that the best chance for our industry to continue to have tax credit support at the federal level is for all of us to unite behind the existing blenders credit. Given the shortness of the year and the importance of certainty for the overall biodiesel industry, we simply owe it to all our members to give them the best opportunity to continue to have a tax credit in 2017 and 2018." When TSCA reform achieved bipartisan support in 2015, the Miracle on 34th Street quality of it all invited cautious optimism that reform of our ancient chemical management law just may be possible after all. Through 2015 and early 2016, the roller coaster ride the legislation took between the House and Senate was both nerve-wracking and energizing. Members and others "close to the legislation" metered out bits of information, sufficient to telegraph the patient was alive but requiring extreme measure to stay afloat. When the House voted on May 24, 2016, by an overwhelming majority to approve H.R. 2576, there was a palpable buzz in the chemical community and a real sense that this insanely stubborn law was finally going to relent and get its much- needed overhaul. 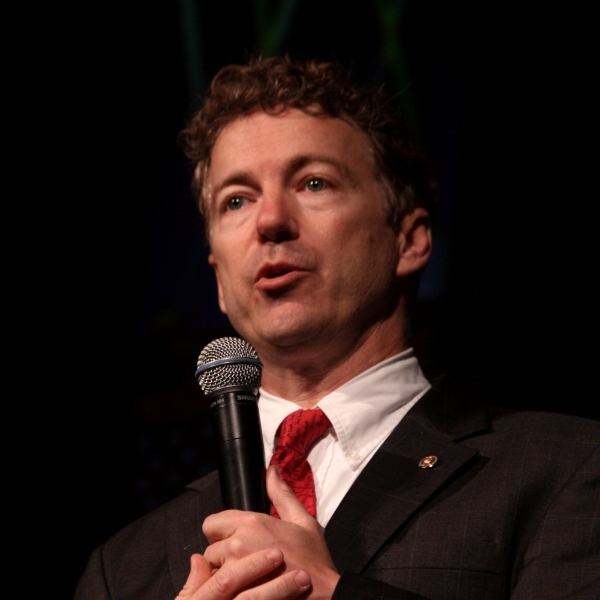 Seemingly out of nowhere, Senator Paul put a hold on the bill's further consideration. Taking his explanation at face value, wishing to read the legislation is not an unreasonable request. In addition to wanting to read the legislation closely, Senator Paul reportedly is concerned about the enhanced criminalization provisions in the bill that raise fines for TSCA violations and enhance penalties for knowingly putting someone in imminent danger. Both of these changes are consistent with penalties stipulated in other federal environmental laws. Paul’s request to put a hold on TSCA, however, disturbs a fragile balance that is not well-suited to sustain disruption, and plainly breaks the momentum the legislation enjoyed before the Memorial Day recess. It is imperative that days do not turn into weeks, or worse. We need this law, and we need it yesterday. TSCA has not kept pace with chemical innovation and EPA desperately needs enhanced authorities to manage potential risks from existing chemical substances. The Senate must make this vote a priority when it reconvenes so President Obama can sign it, as we expect he will, and we can start the important work of implementing the law.